Enjoy the finer things in life on this Cowichan Golf & Wine getaway. 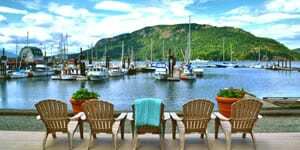 Spend two nights in a waterfront suite in the picturesque village of Cowichan Bay. Browse the artisan shops and boutique stores. Dine at waterfront bistros and drink in water views from the comfort of your room. Play Arbutus Ridge and Cowichan Golf Club, two of the island’s hidden gems, and enjoy golf at an island pace. Take a five-hour private chauffeured winery tour of the most popular wineries in the Cowichan Valley and discover why Cowichan Wines are earning international attention. 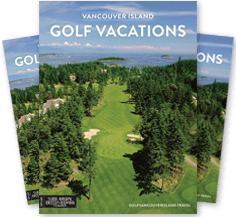 Only Vancouver Island’s Cowichan Valley can give you this unforgettable combination of golf, restaurants, wine and water at a pace that will have the stresses of the week gone by the first sunset. This is truly a golf getaway to remember. *savings due to sharing winery limousine costs among four people rather than two people.